A Harford County woman has been having a rough few months. Her luck took a turn in the opposite direction this week when she scratched off a $100,000 winning Big Money Bingo instant scratch-off ticket. The 62-year-old, who occasionally plays Maryland Lottery games, decided to kill some time while waiting for a prescription. She went into Harvest Fare in Fallston and purchased one Big Money Bingo ticket, but wound up having less time than she thought. She tucked the $10 instant ticket in her purse, went home, and scratched it off there. “When I got to the last number and saw it matched for the $100,000 prize, I just couldn’t believe it,” the lucky winner told Maryland Lottery officials, with tears in her eyes. 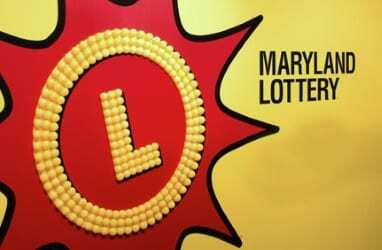 She quickly called a couple of relatives and then went to bed, anticipating a trip the next day to Maryland Lottery headquarters to claim her prize. For now, the Fallston woman plans to put her winnings in the bank. Her lucky retailer, Harvest Fare at 2315 C7 Belair Road in Fallston, will receive a $1,000 bonus for selling the winning ticket. The Big Money Bingo game still has one $100,000 top prize remaining, five $10,000 prizes and thousands of others ranging from $10 to $1,000.